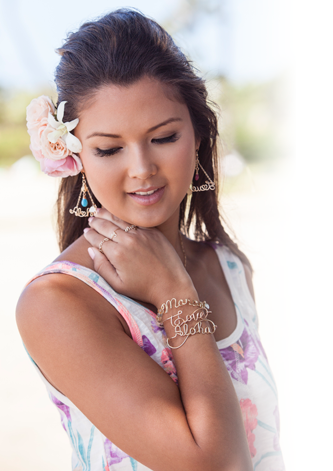 Manoa Love Design derives from the word "Manoa", meaning 'vast and deep' in Hawaiian. Our brand was founded for this sole purpose; to provide the world with a vast and deep connection of love through our custom script jewelry. Manoa Love Design handcrafts each piece of jewelry to deliver a one-of-kind work of art specifically designed for you to enjoy. Our special jewelry will definitely make the perfect gift for you or your loved ones. Manoa Love Design would like to thank everyone's love and support for our brand in order for us to spread aloha and fashion to those around the world. Mahalo nui loa from Manoa Love Design. Copyright© Manoa Love Design. All Rights Reserved.